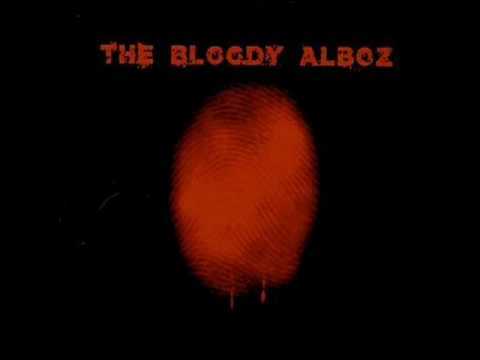 Viktori kur arriti ne USA, formoi menjehere klanin TBA (The Bloody Alboz) ne gjuhen shqipe (Shqipet e Pergjakshme), ne te cilin nje pjese e anetareve merren me muzike rep. Unikkatili ka edhe studion e tij te inqizimeve te emeruar “CONQUEROR RECORDS” ne te cilen punon te gjitha kenget e tij. Albumi i ri i ti i perbashket me grupin The Bloody Alboz (TBA) i titulluar "Armiqt Suprem" ka shitur me 8000 kopje mbrenda 3 ditesh. Ky Album theu recordin ne shitje, shkruan gazeta e Kosovës "Lajm". Asnjë album tjeter i ndonje Rep - Këngtari a grupi nuk është shitur me kaq kopje, brenda nje kohe kaq të shkurtër. Ne vitin 2008, TBA nxjerr albumin e titulluar “KANUNI I KATILIT"
Viktor Palokaj (Rebel also know as Unikkatil) was born into a family with tradition. He is the grandson of John Palokes namely of the National Front. The man who didn`t gave the lands to slaves. The enemy wanted to kill him, but failed. Victor finished the primary school in Pristina, then he got registred to middle school "Sami Frasheri". In the beginning was a polite student, but later he became problematic and was expelled from school 3 times, but again he didn't change because his heart assumed street and hip-hop. Victor began rap when he was only 12 years old but he didn't continue beacuse rap was very simple because he sang really rap. In 1992 Victor wrote songs "Democracy" and "To Gulf Police" and in 1993, he record first professional song called "Zingjirët Që S'kputen." After some years, precisely in 1995, Viktor had a tragedy, where his close friend Dren Thaqi was hit by a train and died. He wrote a song " Heart in Peace" as a reminder for Dren. In time when for a word against Serbia pay expensive, Victor wrote a song in which Serbian policve cited names like "Death Serbia", but Radio Selavia didn't broadcast, so from all songs of Victor were broadcast only "Heart in Peace". Music that make Hip-Hop Victor was explicit, without fear texts that present reality as it was and these were key reasons for affirming its not at that time. Although the will can choose the easy way to fame by not using the explicit expressions or words against the government of that time, as they had done most or all other reper that time, but he didn't changed his style and was explicit and realistic, but unknown. Victor was included in 1996 in clashes with an Albanian family and entered the blood with them. This was why his family decided to move to the USA. They were placed in the Bronx (New York), this highly populated country from the Albanian community where he continued his dream. In 1998, Victor make a song with some members of the ABI, which called "Albanian Rules", which song was more freestyle and jokes. In that year, he worte the song "if i die u die", this song which is seen by many people as the best song rap in western style. When Victor arrived at USA, he immediately created his clan called TBA (The Bloddy Alboz), in which a part of the members involved in rap music. Victor has a studio record called "Conqueror RECORDS" where he works all his songs. New album called "Supreme Enemies" has sold 8000 copies within 3 days. This album broke sales recordin, the paper says in Kosovo. No other album of any reper singer or group didn't sold 8000 copies for such a short a time. In 2008, Victor with TBA create new album called "The Canon of the Katil".